The drive to reduce wildlife poaching is not new. But turning poachers into jewellers is a new and creative one! The Central Stastical Office produces useful monthly analysis. The November Edition can be found here. Inflation has continued a downward trend with the inflation rate for November recorded at 8.7 per cent. The November inflation rate represents a 0.3 per cent reduction compared to last month’s 9.0 per cent, largely driven by lower food prices. Just one of the many fascinating points from the latest World Bank / PWC latest report Paying Taxes 2008, the second in the yearly installment. The study, which compares tax systems of 178 countries, uses the total tax rate indicator (TTR) as a measure of the amount of all taxes and mandatory contributions borne by the business in the second year of operation, and expressed as a percentage of firms' profits. No prizes for guessing why Zambia does so well on "corporate income" (or so bad, depending on which side of the fence you are on). The BBC reports that Zimbabwe has achieved a new milestone. According to Zimbabwe's chief statistician, it now impossible to work out the country's latest inflation rate because of the lack of goods in shops. No formal market, no statistical figures, and possibly no jobs for statisticians. It appears that the statisticians are Mugabe's final victims. Zambian Airways has joined a number of international airlines that have pulled out of the Zimbabwe route such as British Airways, Swiss Air, Lufthansa, KLM, and Air France. It appears that the withdraw of international airlines has not made operations on the Zimbabwe more attractive for regional airlines. In short, there's no "vacuum" to fill - Zimbabwe is now unattractive as a destination, period. Mining ministry spokesman Alfredo Zaconeta told Reuters the reform means mining companies will have to pay 37.5 percent of their income to the Bolivian state, up from 25 percent in the past. The decision will affect several major global mining companies working in Bolivia, including U.S.-based Apex Silver Mines Ltd and Coeur d'Alene Mines Corp. The tax reform also broadens the scope of the Complementary Mining Tax (CMT) -- which acts like a royalty -- to include minerals that currently do not pay the levy, like indium and wolfram. Zaconeta said the royalty tax will be directly proportional to the price of the mineral in the international market. Currently, it ranges from 1 percent to 10 percent. The reform also aims to close a legal loophole that grants miners hefty discounts on income tax payments, Zaconeta said. Last month, the International Fund for Agricultural Development, an arm of the United Nations, and the Inter-American Development Bank released the first complete map of worldwide remittances. You can access the report here. The map compiles the best available information drawn from data collected on migrant populations, percentage of migrants sending remittances, average amounts remitted annually, as well as the average frequency of annual transfers. Central banks and other official government sources, money transfer companies, international organizations and academic institutions were used for reference support. Zambians in diaspora apparently sent $201m in 2006 or 1.8% of Zambia's GDP (a little more than the government gets from mineral royalties ). Interesting to see that Zimbabweans in diaspora sent $361m (7.2% of Zimbabwe's GDP), and that excludes hand-in-hand transfers. Zimbabweans abroad are certainly keeping Bob and Co in power. Prof Clive Chirwa now has the distinction of being the first person to ever engineer party membership in September and declare as a presidential candidate, for a long established party, two months later. That aside, what is important is that now that he has declared himself a candidate, he has also opened himself up to deeper scrutiny. Zambians must not be afraid to examine his thoughts and ideas. We must begin to ask the fundamental questions - what are his views on the pressing issues facing our nation i.e. poor health, poor management of strategic industries and weak institutions? What does are his views on the role market and role of Government in taking Zambia forward? Does he have the right qualifications for the position of President? Does he have enough experience for the job? Is he free external influences? Does he really understand the problems of a poor grandmother in Samfya living on less than $1 a day and looking after 20 orphans, because all her daughters died of HIV? These questions are even more important for Prof Chirwa, since like many of us he is not in Zambia everyday. It is wrong to blame our politicians and civil servants for messing up and disrupting fuel supplies and thereby harming the economy. Why do I say this? Because government servants lack business and technical training and experience, and are therefore bound to make mistakes, or to act from political rather than business reasons. What is wrong is not that they mishandle matters affecting vital fuel supplies, but that they handle them at all. It is often said that governments must manage certain key sectors of the economy, because these sectors are strategic. This has been said at one time or another of agricultural inputs, banking, maize marketing, mining, railways and the supply of electricity and petroleum products. All these areas of economic activity are commonly described as 'strategic', and therefore to be managed and controlled by government. In reality, however, the strategic nature of these areas of activity is the very reason why government should not attempt to run them, but should leave them to be managed by professional people. The organisations concerned are then likely to be efficient and well financed partners in the country's economy. They will probably make substantial taxable profits, instead of hindering economic development and making huge hidden losses. In the unlikely event of large private sector businesses making losses, these will be borne by their own shareholders, not by the Zambian taxpayer. The change would also remove opportunities for corruption. How long before we acknowledge that strategic industries ought not be run by governments but by independent and professional businesses? Mwanawasa’s intention to make fighting corruption a priority has created something of a paradox for the Task Force on Economic Plunder and the more conventional institutional tools to be employed in the effort. Mwanawasa has sought to exert presidential control over officials and institutions such as the director of public prosecutions, the auditor general, the Anti-corruption Commission, the Drug Enforcement Commission, and the investigator general. While the multiplicity of actors may suggest an expansive effort to fight corruption, it also makes possible the politicization of the effort, in that Mwanawasa can focus on the body or bodies that he feels will support his agenda. Thus the Drug Enforcement Commission has played an increasingly large role in anti-corruption efforts, while the investigator general’s Commission on Investigations, which serves an ombudsman’s role in Zambia, has been largely absent from the fight. Insufficiently funded and decentralized, the investigator general’s office is an ineffective tool for civil society to hold the government accountable. Whistle-blowers in Zambia are not protected by law, a situation that may also detract from ground-up efforts to combat corruption. As David rightly observes, Zambia's supposed fight against corruption is currently an exercise in futility. Its not that fighting corruption is wrong, per se. The problem is that the approach to fighting corruption is inconsistent and a complete waste of tax payers money. It is a half hearted approach that does nothing to eliminate the fundamental problems in the long term. My view is that we should address corruption as part of a wider debate on what we think are the key obstacles for Zambia’s economic growth. And one of them is definitely a "poor institutional framework" – but an institutional framework goes beyond simply tackling corruption, it is about introducing stronger governance, greater transparency and accountability structures. Participatory democracy and general decentralisation is one of those things that have been empirically verified to work in increasing growth. To deliver these things requires political will and shifting power back to the people. What is happening to the money that is being generated by Zambia's copper boom? How should Africa tax its natural resources? Are the forces of globalization forcing tax ever downward? How can a government survive in a country where most people don’t pay tax? In Africa you have some, quite frankly, governments that are not fit to run a Post Office and are facing the Maradonas of business sophistication. These huge extraction companies, that have money to hire the brightest and best minds in the world....its a very unequal negotiation, not just in terms of power, but in terms of knowledge. I know what Paul means but his statement is incomplete. The sad truth is that Zambia does also have the brightest and best minds just that the institutional framework does not allow these individuals to emerge. Until that is fixed, we will continue to rely on the media and external forces (e.g. NGOs) to push for a better deal for the average Zambian. "Everybody excluding those that know the facts. Out of the mining companies that are now saying they might be able to produce 1 million tonnes of copper by 2010, many of them are the ones that are investing their money, borrowed from outside, or made from other operations outside. When they are investing the money you don't expect that they are making the maximum profit. Maximum profit for most of these companies could be made 10 years from now. That is when we should be saying, look, these people have already recovered their investment, that is when they will be making full profits. That is when we can get worried about that." Another blog discussing the BBC documentary. Magande gave a presentation at the Sub-Saharan Africa Conference in London this week. The video can be found here. You may need to register (free and very simple, with no e-mail verification) to access the video. The link also has video presentations by Joe Chikolwa (ZCCM-IH) and Victor Dingle (La Farge Cement Zambia). CSO on maize and poverty! I found this chart particularly interesting for two things - first, the staggering increase in maize cultivation between 2000/1 and 2006/7, possibly lends credence to the Government claims that its agricultural policies are working especially in safeguarding food security. Something like 50% increase in maize cultivation. That by any standard is huge increase - but let us remember that "area planted" is not indicative of output. The second thing, which illustrates the intrigues of data, is the last three years. Maize cultivation has virtually stood still, but maize output of course has gone up over the same period....hints of increased productivity? The second chart looks at the incidence of poverty by province for 2004 and 2006. 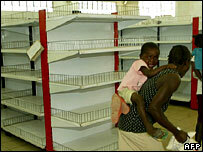 On average Zambian poverty levels have gone down. But what is interesting, is where they have gone up/down and how that compares to the voting patterns in the the last election. Areas that have seen substantial reductions in poverty (e.g. Lusaka and Copperbelt) voted for the opposition. Areas that saw increase in poverty rates such as Eastern Province voted overwhelmingly for the party in government. Either the poor in rural areas are content or the richer urban dwellers have seen a glimmer of light, and have concluded "we can do better!". The government has espoused decentralization with respect to decision making, but it is not yet clear whether the financial resources to make it effective from a governance perspective will be allocated. For many rural Zambians, traditional rulers remain the usual recourse for addressing public grievances and needs. Despite the institutionalization of the House of Chiefs—a body of twenty-seven traditional rulers limited to advisory powers—traditional leadership is, at best, awkwardly integrated with the other elements of constitutional government in Zambia. The formal state is unwilling and politically unable to actively provide incentives for good government by traditional rulers. For their part, citizens may be wary of further institutionalizing traditional leaders, since for many the cost of doing so—potentially forgoing accountability with respect to private matters (i.e. dispute resolution)— is seen as greater than the benefit of increased accountability on public matters. Thus, the quality of local leadership in terms of responsiveness and the provision of public goods is uneven. Therein lies the heart of Zambia's problems. The problem at the moment is that Chiefs look after the people but they are not properly integrated in the system of local government. 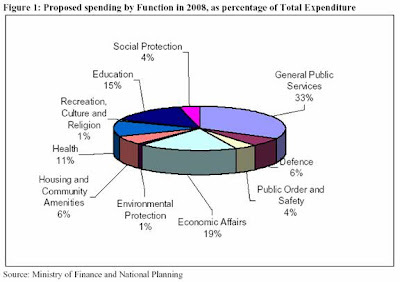 Crucially they no financial or budgetary responsibility. Everyone in the village runs to the chief for land and food. One of the great travesties of colonialism is that it reduced these institutions that served the people so well to an irrelevant spectator. The current framework of local governance has continued that approach and no wonder we find delivering local development (of whatever shape) such a challenge – we are constantly working with two systems (government imposed system and traditional functions). A way must be found where Chiefs can become meaningful - this requires both creative thinking and political will. I discusss this issue at lengthen in A cultural approch to Zambia's development. We should push more for the re-negotiation of development agreements than mineral loyalties because we can benefit more from the development agreements. The slowness taken by the government in the re-negotiations should be of concern to all of us....Government should give regular updates on the re-negotiation process. We want to know what is happening....We expect to benefit more.....To some extent, the mineral loyalty is based on production; the higher the production the higher the benefits from mineral loyalty.....Within the next four to five years we expect over one million metric tones of copper. That is the expectation from Lumwana mine. Therefore, when we increase the output, we will expect the increase in the loyalties. So we should not be so disappointed with the current amounts of money from mineral loyalties. In fact, mineral loyalties are lower than development agreements, for me I would rather we concentrate on re-negotiating development agreements. Professor Oliver Saasa clearly aiming his artillery on the bigger prize - the mineral agreements. The SCIAF / Christian Aid report seems to have awoken a new level of Zambian consciousness. Let us hope this new found sense of economic patriotism comes with some concrete proposals on how the mining resources should be managed. We need concerned Zambians not just to complain but propose models that would deliver a fair share to our local mining communities and the mining workers, while recognising the crucial role that foreign direct investment has played in reviving our mines. A future and more sustainable mining industry requires a model that all Zambians will accept regardless of the government of the day. This is what will give the foreign investors long term security and greater incentive to invest, not cheap 3% deals made over a bottle of Mosi. Tanzanian President Jakaya Kikwete has appointed former Attorney General Mark Bomani chairman of the committee to review all mining contracts. In a statement issued by State House in Dar-es-Salaam yesterday President Kikwete gave the 11-member team three months to complete its work. The members include legislators from the ruling Chama Cha Mapinduzi (CCM), opposition parties, senior government officials and the private sector. I received some feedback this week on the Celebrating Searchers column, in particular, the recent article on Zambia Hope International. Now I don’t always publish feedback but I thought I should share some with you since it relates to the fundamental tenets of the blog, namely, free speech and advancing of different ideas, consistent with our Zambian way of life. Keep up with what you are best at and do what you love most (New Zambia-real issues). ‘Searchers Zambia campaign’ may spoil the whole purpose, mission and vision, let alone readers’ interests. Simwinga, Musonda and private school woman in Lusaka mentioned in your articles are now using New Zambia blog to make a stand for their best gains. Cyber net mission lickers who have changed this once economically-packed blog into a beggars’ blog, ancient muzungu- wanga missionary workers forum. The pictures they display in order to trap the dollar are not the true reflections of most families in Zambia. Their families, may be! Look at Simwinga while in San Francisco, look at his family and the hungry agric show participants. What a contrast! Shame! What about this 'Zambian Farmer' Adamson Musonda of Zambia Hope international (Tel; 001 301 624 0061, email;info@ZambiaHope.org)? I suspect he is alleviating the suffering of orphaned children by remote control because his Tel # is American and not the Zambian 00260, download attachment and see the child in the picture, ha! The nostrils are blocked, oh NO! Mr Musonda or the teacher should have noticed this stuff before the cameraman took the picture? Very unhygienic! How much should we pay the Musondas to teach orphaned children basic hygiene? Ba Musonda tata, benifye bwino. There are better ways of making us sympathise and give out! Awe bawishi, stop making such dirty impressions about HIV/AIDS in Zambia. This may be evidence enough to put off genuine donors. Even some of us' Zambian sympathisers may quit the queue. Donations in wrong hands! 1. The Celebrating Searchers column is something created by the author and is unsolicited. Simwinga, Musonda, Simutowe et al have not asked that I should blog about them. They simply happen to be Zambians I believe are making a difference on the “ground”, without relying on Government. 2. I am a profound believer in “searchers”. In as much as we have elected Government to take forward development on our behalf, very often better ideas start with individuals who take the risk and step out to make the difference. I passionately believe we should celebrate these Zambians, and more importantly, be encouraged by their initiaves to make a difference. 3. I accept that not all the searchers may turn out to be “genuine” or let me put it this way – some Searchers may be in it for personal gain and not the welfare of Zambian. Thats beside the point because the real test is whether their actions are beneficial for the greater good of Zambia. 4. If readers feel that certain “searchers” have missed the point, then you are encouraged to write a post and respond to it and enter the debate. New Zambia stands ready to not only flag up the post but have new articles that challenge other articles on the blog. So if you want to challenge an opinion expressed on the blog by the author or another reader simply enter the discussion! What New Zambia won’t do is pander to specific social and political ideological points of view. We are here to exchange ideas not to stifle opinion. All ideas are welcome no matter how contrarian. The Blue Book of Zambia, pioneered by UNCTAD, which recommends investment promotion activities and minor legislative or regulatory changes, has won Africa Investor Magazine's 2007 award in the category of 'Smart Regulation'. You can access the blue book here. Most of the recommendations of the blue book are now being implemented. Ecuador wants to establish contracts between the government and mining companies, similar to deals the country has with oil firms, Oil and Mining Minister Galo Chiriboga said on Wednesday. "We want contracts that regulate the extraordinary revenues from these companies," Chiriboga told reporters. "They should be similar to current oil contracts." He said contracts will set royalties at a referential price for the mineral extracted, but like with oil deals, mining firms will have to share part of their windfall revenues if metals' price rise in the market. He added that mining royalties will be imposed on a "case by case" basis. Chiriboga said contracts will establish stricter environmental regulations and boost the participation of local communities. "We need to sit down and talk because the current mining titles are insufficient for us," he said. Government talks will be held while the mining ministry works on a proposal to set mining regulations in the new constitution, which has to be approved by a government-controlled assembly. Mining companies currently have no contracts with the government or pay royalties, but an annual ownership fee for their concessions. Searchers are Zambians who are making a difference on the ground, and are not waiting for the Government to act. By this definition farmer Adamson Musonda, must count as our latest searcher. About seven years ago when HIV/AIDS took the lives of 10 of his relatives. They left 20 children to be cared for. Instead of taking all the children in, he started a nonprofit organization, Zambia Hope International . Zambia Hope works to combat the spread of HIV/AIDS through teaching responsible behavior to children, and has provided a local clinic that provides medicine to 18,000 people. Do check out their website! Notwithstanding the noteworthy improvement in the meaning and conduct of elections in Zambia, the level of accountability must be viewed in the context of how government works on a daily basis. Members of parliament continue to lack the means or incentives to serve their constituencies in specific ways, particularly outside of the campaigning season. At least in the MMD, the party’s national executive committee retains the right to determine who will stand for election in a given constituency, meaning that for sitting members of parliament, loyalty to the party leadership is often more important than service to constituents. Meanwhile, too few opportunities exist for most citizens to contact their political representatives, and lawmakers rarely make themselves available to constituents. Local government remains underfunded and thus unable to respond to constituent needs, rendering its greater proximity to the public an unexploited resource for improved governance......The Assembly should regularly engage with Civil Society and private individuals through open Parliamentary hearings at which the testimony of civil society groups and private citizens is solicited. Interesting observations again, although I am less sure about the proposed solution. Sitting down and having a cup of tea with your MP wont make him or her listen to you. If the incentives always point to putting the party leadership before the poor person on the street, what hope is there? Incidentally, David solution seems to ignore the fact that most Zambians are too busy trying to get by, to sit down with their MPs when there is little of chance of getting them to listen. In the mean time as David noted in the previous extract, parliamentarians may well be constantly at the mercy of the 'economically powerful actors' . Zambia actually has the reverse problem to highly democratic nations. In highly democratic nations, the problem is that representatives actually care too much about their local area and less about areas they don't represent. A combination of informed voters and local selection of candidates appear to put greater incentives on pandering to your local area, sometimes at the detriment of national causes. David seems to be saying, in Zambia parliamentarians simply don't care at all or worse, they only care about the party leaders! Just how do you fix a problem like that? Absence of clear policy and ideological framework within Zambia's main political parties. This makes it difficult for the party members and elected representatives to be loyal and convey a clear and differentiated message to the electorate. Failure of political parties to properly screen their candidates, due to resource pressures or poor organisational skills. Failure of the Zambian voter to make informed decisions - this could be due to lack of information on the candidates or it is costly to process such information given other competing demands. Lack of confidence in the democratic process may also increase the cost of accessing information relative to the benefits of making an informed decision. Why waste time and effort finding out who is telling the truth when the votes might be rigged or MPs may switch sides tomorrow? The good news from the Nchanga bye election result might well be that if we can fix point (3) may be, just may be, points (1) & (2) would become irrelevant. The voter can help enforce party discipline and reduce the incidence of mid term switches. I must however state that China is not the only country guilty of abusing Zambian workers. When I was in government, I discovered that a lot of investors had no regard for set out regulations. My conclusion was that, we were failing to police our own regulations. One of the reasons for such failure is corruption. Those ministries and departments responsible for issuing work permits, inspecting safety equipment and procedures are usually compromised by these investors who have lots of money. Particularly intrested in the last sentence. For indeed, it appears that the threat of what David Simon calls "economically powerful actors" isn't just restricted to the issues of campaign finance and political capture, but also to other more sensitive areas. No rules regulate campaign finance in Zambia. A controversy arose during the 2006 campaign when it was reported that Sata, who had criticized Chinese investors, was being bankrolled by Taiwanese business interests. There was no public mechanism to confirm or refute the allegations, and the episode served to shed light on the need for better accounting of campaign revenues and expenditures. The lack of campaign finance regulation presents economically powerful actors with an opportunity to exert undue influence on Zambian politics. Innuendo aside, however, there is little direct evidence that any such actors have done so in recent elections.....The national assembly should enact a law that regulates campaign financing by requiring transparent and timely disclosure of all sources of campaign funds. David is absolutely correct that lack of campaign finance regulation is the problem and not as others have often indicated lack of public finance. Political parties are just like any other investment. If your brand is correct and offers a good return, people are more than willing to invest their money and time to make it work. If your brand is poor, no money will be forth coming. People and organisations are waiting to queue to fund political parties and this will continue as Zambia becomes an attractive place to invest and political competition improves. The key is to ensure a level playing field through a stronger constitution which would encourage a more level playing and increase political competition. Greater political competition should encourage investment in political parties. Those parties that cannot attract funding may need to consider whether their "political brand" is as attractive as it ought to be. Crucially, they should dedicate their energy to pushing for a level playing field through a stronger constitution. Another forecast made earlier this year is looking unlikely, reminding us again the wisdom of forecasting a range rather than a single target. Much discussion here on whether the long term prices of commodities, base metals in particular, have fundamentally changed towards a much higher trajectory. This article by the Reserve Bank of Australia has an interesting overview of commodity trends since 1906. The historical tendency for commodity prices to fall back after a period of rapid increases – and the trend decline in most of these prices over the past century –raises a question over the sustainability of the current high prices for metals and other resources. In response to the high prices, mining and energy sector investment has increased sharply in recent years, and it is reasonable to expect that there will be a significant increase in the production of base metals and other resources in the next few years. However, the effect of this investment on future real prices is difficult to predict. While increased supply will exert some dampening influence on prices, the rapid growth in world demand for metals and other resources appears to be showing little sign of abating. There are good reasons to believe that strong demand from emerging economies in particular may continue for several decades, although the adoption of new technologies could see a lower degree of resource-intensive output in these countries over time. Furthermore, productivity advances are still helping to contain the world price of manufactured goods, and a reduction in the price of some services is also probable as the tradability of services in an increasingly globalised economy becomes more widespread. While these various trends continue, they could support the continuation of relatively high real prices for metals and other resources for some time yet. A substantial long term shift possibly minimises the risk of government ownership of some mines in the future. Of course I remain opposed to government ownership of any new mines, as much would have to be done in developing appropriate economic and governance models to minimise corruption and ensure greater transparency. Zambia has simply not made much stride in this area to provide sufficient confidence that a government owned mine would generate greater welfare gains for the Zambian people beyond the paltry 0.6% royalties we get and the occasional charitable acts from the mining companies. I also think that better models exist rather than outright ownership e.g the model I laid out in a previous blog. What I am saying is that a possible shift in long term metal prices certainly eliminates the argument normally employed that government shouldn't take on this risk of ownership given the volatility in base metal prices. A few charts of key Zambian metals....tracking the price trends over the last 15 years. A while back I shared a paper by Jensen that demonstrated how fishermen in Kerala, India are using mobile phones to dial out poverty. Well now Zambian farmers are using SMS to search for better prices. Read more here. Incidentally it is a fascinating example of how technology can help deal with the challenges of isolated settlements. Until the [SMS] system was put in place, farmers had very little knowledge about market prices and had to sell their crop to intermediary buyers at prices often well below market rates. With the new system, they can request the latest market price being sent via SMS for any given commodity. Within seconds they receive information on best prices and the best buyers in a specified province or district. The SMS service, which costs $0.15 for each message, enables farmers to compare prices and selected buyers to start trading.“The system is very accessible for small farmers because mobile phone technology is cheap. A SIM card cost $1 here, and a telephone about $25. If they can’t afford a phone, they borrow their friends’,” explained Gibson Kapili, in charge of the programme’s contract management and procurement. "We were told by advisers, who included the International Monetary Fund and the World Bank, that not in my lifetime would the price of copper change. They put production models on the table and told us that there was no copper in Nchanga mine, Mufulira was supposed to have five years life left and all the production models that could be employed were showing that, for the next 20 years, Zambian copper would not make a profit. [Conversely, if we privated] we would be able to access debt relief, and this was a huge carrot in front of us - like waving medicine in front of a dying woman. We had no option [but to go ahead]"
Edith Nawakwi trying to shift the blame on the IMF / World Bank, but only succeeding in making herself sound incompetent. The 'devil made me do it' has never got anyone off a crime. For indeed it appears that we came under pressure from young graduates at the IMF and World Bank who spent one week in Zambia and flashed a few models on the table and we crumbled. Full discussion of the Undermining Zambia Report here. In the meantime, the DRC are marching on with significant recommendations, that may increase pressure on our government to take a tougher stance. A government panel in the Democratic Republic of Congo will recommend 61 of the nation`s agreements with mining companies, including Freeport-McMoRan Copper & Gold Inc, be renegotiated or cancelled, the group`s chairman said. The commission will recommend that 38 contracts be changed, including those of Freeport and Nikanor plc, Alexis Mikandji, chairman of the commission for the review of mining contracts, said on November 2 in a telephone interview from Kinshasa. The panel will say 23 contracts should be cancelled, he said. British Airways made its last flight from Harare international airport this week, sighting the worsening economic realities in Zimbabwe. The flight ended 62 years of service. You can read more here. It remains to be seen whether regional airlines would benefit from this move, since it will inevitably lead to more connections for Zimbabweans in diaspora (who will suffer financially). The scope for other airlines entering the market and filling the void on long haul travel is limited, so it is left to the hapless Government owned Air Zimbabwe, with a good safety record but apparently 'bedevilled by its owner that forces it to charge sub-economic fares and interferes by making political staff appointments and route choices'. Mining companies operating in Thailand are grappling with calculating the impact of the Thai government's decision to increase royalty rates. Thailand announced on its Web site in October that the government had issued regulations to raise mining royalties on several minerals, including gold, lead, zinc and tin. It raised the base rate but lowered the maximum royalty it would apply to tin. But many mining companies were surprised by the announcement, which came to light after Australian gold miner Kingsgate Consolidated said in a statement to the Australian Stock Exchange that its production prices would be affected. UNICEF is reporting an important breakthrough in the fight against measles in Zambia. More than 2.1 million children, aged nine months to five years were immunized against measles during a week long integrated National Measles Campaign in early July. You can read more about this incredible success here.